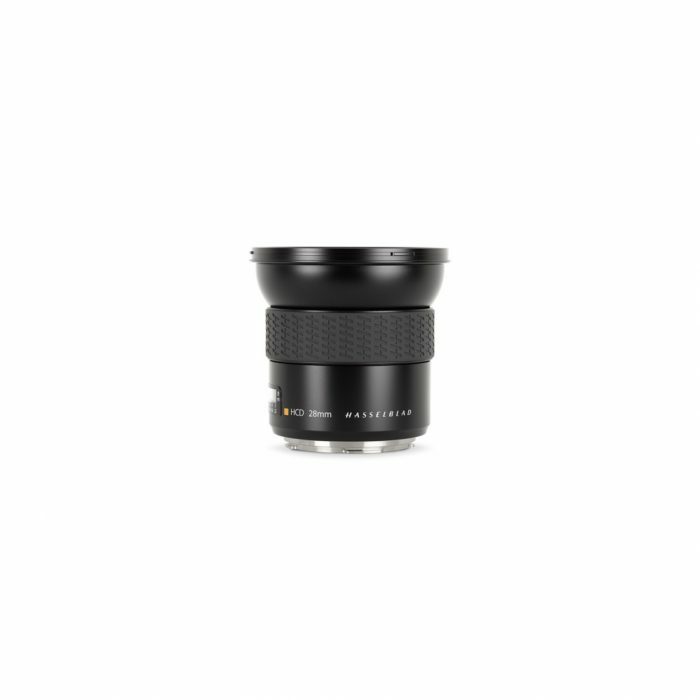 The Cambo ACTUS Actar-24mm Lens is a 24mm wide angle with a manual aperture ranging from f3.5-22 with half click stops, making it ideal for landscape and architectural photography. 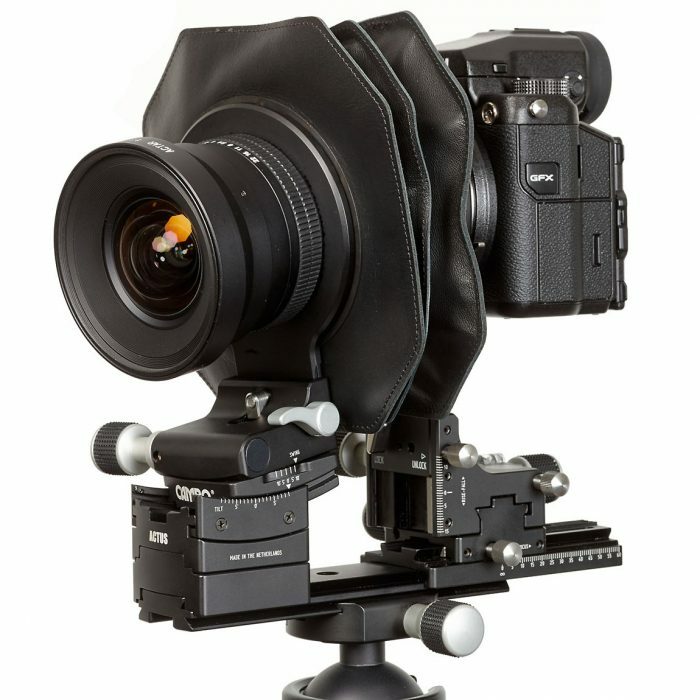 The lens is fixed in a lens panel that slots into the front of the Actus making it easy to set up and quickly pack away. 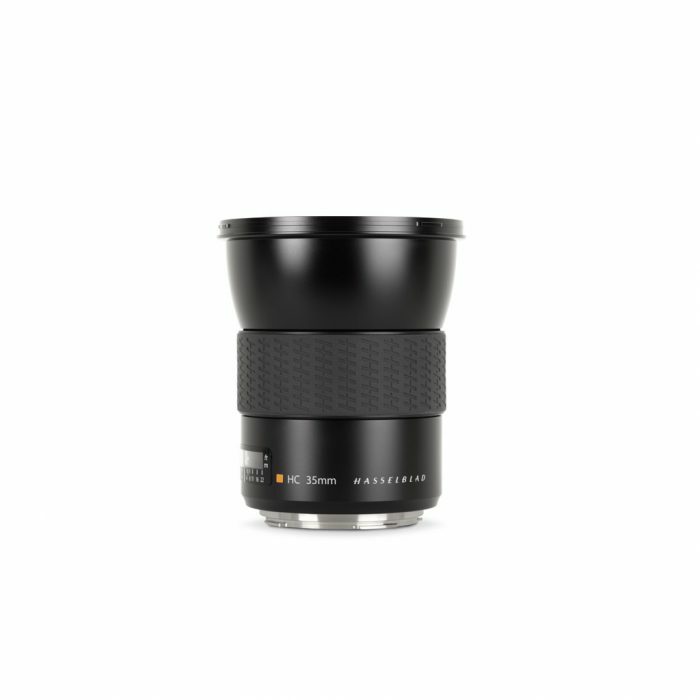 Those die-hard landscape photographers that are conscious of carrying a lot of kit in the field will be delighted to know it only weighs-in at 660grams. There is almost no geometrical distortion. 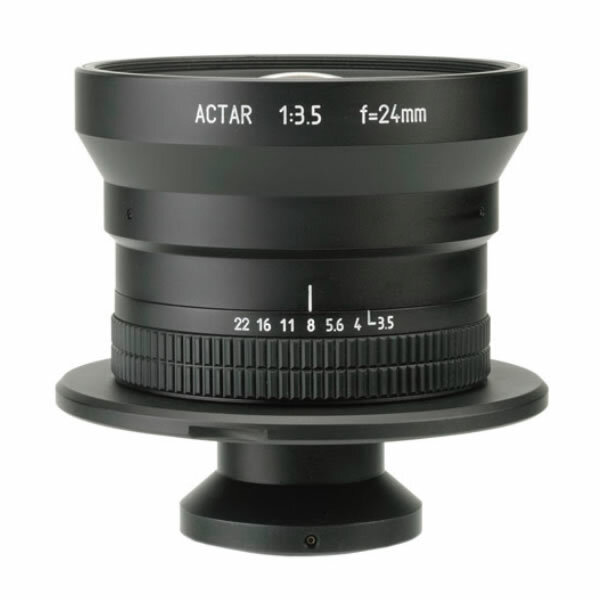 The Cambo ACTUS Actar-24mm Lens has a 60mm image circle, which enables optical horizontal shift of 10mm left and right. So when using a full frame sensor (24×36) the maximum horizontal stitched area is 24mm x 56mm. The rise/fall is 12mm up and down, a total stitched area of 48mm x 56mm with 9 images.